Sparkling with witty dialogue, Much Ado About Nothing is one of Shakespeare's most enjoyable and theatrically successful comedies. This up-to-date edition offers a newly edited text and an exceptionally helpful and critically aware introduction which discusses Shakespeare's social transformation of his source material, and rethinks the attitudes to gender relations that underlie the comedy and determine its view of marriage. This classic story of a shipwrecked mariner on a deserted island is perhaps the greatest adventure in all of English literature. Fleeing from pirates, Robinson Crusoe is swept ashore in a storm possessing only a knife, a box of tobacco, a pipe-and the will to survive. His is the saga of a man alone: a man who overcomes self-pity and despair to reconstruct his life; who painstakingly teaches himself how to fashion a pot, bake bread, build a canoe; and who, after twenty-four agonizing years of solitude, discovers a human footprint in the sand... Consistently popular since its first publication in 1719, Daniel Defoe's story of human endurance in an exotic, faraway land exerts a timeless appeal. The first important English novel, "Robinson Crusoe" has taken its rightful place among the great myths of Western civilization. 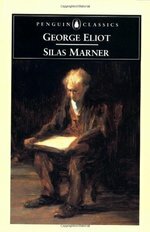 Driven out of the religious community to which he belongs on a false charge of theft, Silas Marner takes refuge in the village of Raveloe. He is a lonely man, whose only comfort is his gold. One night his gold is stolen and he is left with nothing, until a small child wanders into his cottage. A milestone in the history of the English novel, "Tom Jones" draws readers into a world teeming with memorable characters. This epic of everyday life chronicles the adventures of Tom Jones, who was abandoned as an infant and grows into a lusty, imprudent young man. Promising to mend his ways, Tom competes with his abusive rival for the affections of a wealthy squire's daughter, and learns the truth about his identity, in this discerning comedy of human foibles and self-discovery. Thomas Hardy's fascination with the dualities inherent in human nature is at the root of The Mayor of Casterbridge, now in a brand-new edition. In a drunken fit Michael Henchard sells his wife and infant daughter to a sailor at a country fair; when sobriety returns the following day, he is unable to find and reclaim his family. 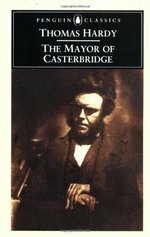 Vowing to transform his life, he settles in the town of Casterbridge, where he eventually rises to the position of mayor. Henchard is a man whose impulses are at war with one another, and when his wife and daughter, now a young woman, appear in Casterbridge, these internal contradictions drive him to commit acts that spell his final destruction. Employing the elements of classic tragedy Hardy took the English novel in a new direction, emerging as both the last Victorian novelist and the first modern one, and defines themes that would occupy such twentieth-century writers as Conrad and Lawrence.